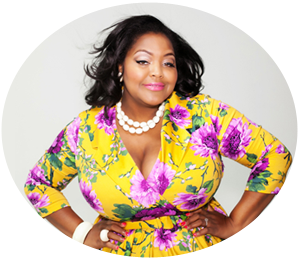 Today Carol’s Daughter Lenox Square Mall kicked off their Spring Series finale event “Jet Set Beauty” hosted by Radio and TV personality, Rashan Ali. Carol’s Daughter "Monoi Repairing Collection"
“Jet Set Beauty” will feature salon owner & stylists from Carol’s Daughter Atlanta partner salon, Like The River, offering hair care and styling consultations as well as dry styling demonstrations, focusing on the new Monoi Repairing Collection. “Jet Set Beauty” will also welcome back the experts from LAMIK beauty for complimentary makeovers in addition to the latest tips and trends for the Summer. As always, enjoy cocktails courtesy of Ultimat Vodka, poured by The Perfect Bartender and sounds by DJ Princess Cut. 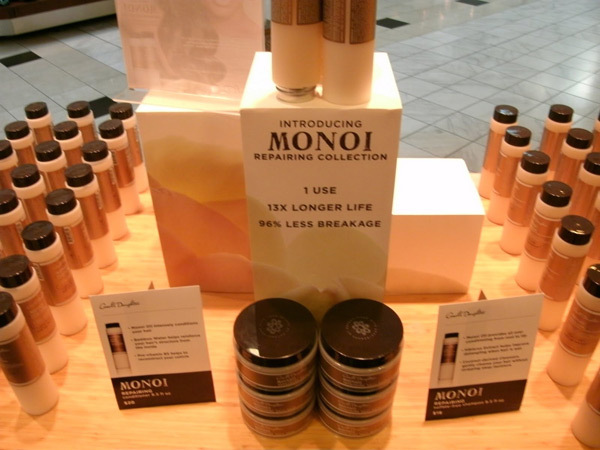 The Carol’s Daughter store in Lenox Square Mall hosted an event introducing their wonderful new “Monoi Repairing” product line. The hugely popular brand invited local hair salon Like The River: The Salon, which showcases and uses the hair care line on their clients, to come and showcase some styles and to give one lucky winner a great salon service. 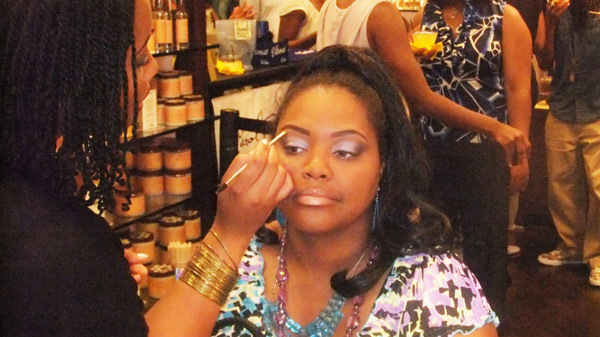 The team of Lamik Cosmetics, an all natural cosmetics company was also on hand doing mini makeovers with some of their fantastic products while DJ PrincessCut provided music for the event. 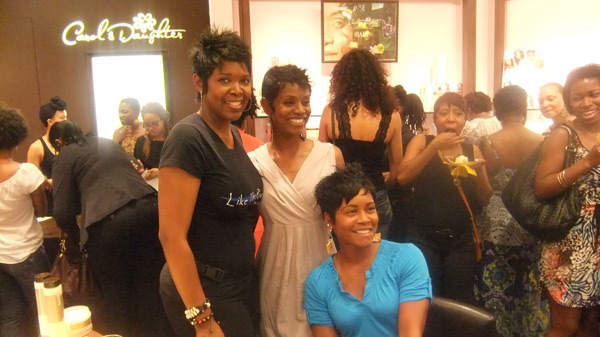 In addition to the great atmosphere of their beautiful Lenox Square store, they were also serving up the very well known, and well loved Cami Cakes cupcakes, and a signature drink for customers presented by Ultimat Vodka. Now, back to Carol’s Daughter. Their new collection consists of three different items, the Sulfate Free Shampoo, the Repairing Conditioner, and the Repairing Hair Mask. The products contain bamboo water which helps to prevent damage already done to the hair or to help prevent any damage. For any of you ladies that may have color treated hair this is a great collection to help prevent any breakage. Make sure you stop by the Carol’s Daughter store in Lenox Mall to pick yours up and treat your tresses to something fabulous! The 2011 Spring Series launched to an overflowing audience with “Awaken Your Senses” and followed suit with the second installment , ”Mama’s Month.” Guests enjoyed cupcakes, cocktails courtesy of Ultimat Vodka, poured by The Perfect Bartender, music by DJ Princess Cut and several door prizes, including an “I’m Power” Catharine Malandrino t-shirt from Mary J. Blige’s FFAWN foundation, Ultimat Vodka merchandise, and custom Mother’s Day gift sets.